The Central Palm Beach County Community Foundation is a 501c(3) charitable organization that provides programs for K-12 education, workforce development, entrepreneurship, and job creation in Palm Beach County. Enhancing the quality of life in central Palm Beach County through education, workforce development, and leadership initiatives. Palm Beach County leads among suburban counties in high wage job growth, sustainable entrepreneurship, innovative education, and direct export revenue. 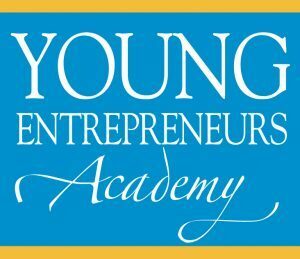 Young Entrepreneurs Academy (YEA! ): The Central Palm Beach County Community Foundation launched its local chapter of this national program in 2014. YEA! began in Rochester, NY in 2004. YEA! is an after-school program for middle and high school students that provides a focused introduction to the business world, combining a dynamic, proven curriculum with the experiences of local leaders of industry, community members, educators and entrepreneurs. The goal of all YEA! classes is for each student to successfully launch their own business. For more information, please visit www.cpbchamberyea.org. PB Women of Worth (WOW) Award: The Central Palm Beach County Community Foundation Women of Worth (WOW) Awards honor outstanding women who have achieved professional excellence, serve their community, and have strengthened and enriched well-being in Central Palm Beach by helping to advance the educational, cultural, and economic interest of the community. For more information, please contact the Chamber Office at 561-790-6200 or via email at info@cpbchamber.com.